Magnesium is a mineral found in foods and supplements. Recommendations for intake vary, and the amount you take in supplement form -- if any -- should depend on how much magnesium you are getting in your diet. Getting the right amount is important; getting too much can cause diarrhea and cramping. Magnesium intakes in the United States are consistently lower than they should be, according to governmental dietary surveys. Early magnesium deficiency symptoms include several gastrointestinal problems including nausea, vomiting and appetite loss. Although some gastrointestinal issues may be present during deficiency, they also arise from consuming excess levels of magnesium. Several studies show that excess magnesium ingestion can cause diarrhea; in fact, some studies specifically focus on magnesium's tendencies to cause this reaction. Getting high levels of magnesium through food shouldn't cause diarrhea. This is because the kidneys help flush out excess levels through the urine. However, the same response does not occur when magnesium is taken in supplemental form through nutritional supplements or certain drugs. 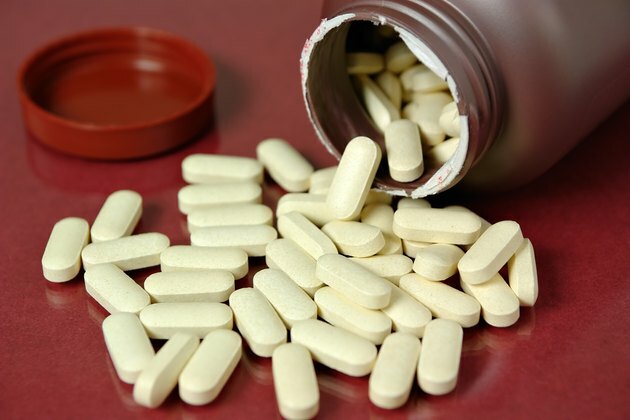 There are many types of magnesium supplements, and the ones most likely to cause diarrhea are magnesium carbonate, magnesium gluconate, magnesium oxide and magnesium chloride. Keeping close to recommended amounts can help prevent unpleasant side effects like diarrhea. Men over 30 need 420 milligrams daily, while women need 320 milligrams. Men under 30 need 400 milligrams; for women it's 310 milligrams. Always consult your physician before taking a magnesium supplement. Current dietary guidelines recommend that most nutrients should be consumed through foods rather than supplements. This can be beneficial in the case of achieving the proper magnesium intake, since supplements are more likely to cause diarrhea. While many Americans are magnesium-deficient, this important mineral is widely available in many foods. Both plant and animal foods contain magnesium, and in general, fiber-containing foods tend to also contain magnesium. Magnesium-rich foods include nuts, seeds, beans and legumes, whole grains and leafy greens such as spinach and broccoli.